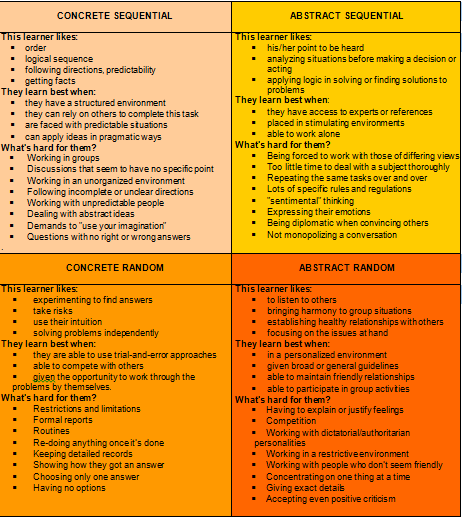 Each learner type preference a certain way of learning. That's very interesting. I'd heard about visual and aural learners before, but obviously there a lot of other factors.